We will be building traditional skin-on-frame kayaks with Kiliii Fish who will come from the Northwest of the US and runs Seawolf Kayaks. We run this workshop once every one or two years when we have a group large enough to run the workshop. This is one of those classes that we can truly call “Once in a lifetime” – we have brought in the experts, Seawolf Kayaks, from the Pacific Northwest to teach the ancient art of building traditional skin-on-frame kayaks. When you bring a boat to life in the traditional fashion, you create stories just as the first kayakers did and still do. You learn complex building techniques like steam-bending, but also how to understand wood, lashings and hand tools. In class we talk about kayak history, native history and paddling adventures. Walk away with a functional piece of art: In our workshops, every builder completes an ultralight kayak. On the final day, weather permitting, we will paddle our boats and learn about Greenland kayaking technique. All the Seawolf kayak models undergo extensive R&D and are each designed with a particular set of needs in mind - from long expeditions and fishing, to surfing and rock gardening. Along with the current models, Seawolf is prototyping two more in time for the Scotland workshop: a fast, playful 5 metre boat for intermediate and advanced paddlers and a shorter, manoeuvrable boat specifically designed for more petite paddlers. The Kurki (heron in Finnish) is the latest addition to the Seawolf fleet. Our combined years of experience in rough ocean waters helped us develop a boat for intermediate and advanced paddlers. This kayak tracks well but due to its hard chine edges and shape, turns quickly when put on edge. At 21″ wide, it is surprisingly stable, and its secondary stability helps to keep it upright in rough water. It also rolls well, with a lowered back deck. As a touring kayak, it has lots of cargo capacity, and the boat remains fast even while loaded. This design is proof that skin-on-frame kayaks can be some of the most advanced human-powered craft on the water. The Mora is our newest kayak and our current favourite – a superb blend of speed, agility, and handling for intermediate paddlers. It is a superbly handling sea kayak, with enough stability to shoot a photograph out of, but fast enough to cut through wind waves with aplomb and keep up with any commercial boat its length. Its secondary stability and buoyancy mean that it can handle rough water very well, including rock gardening, stormy seas, and surfing. It has a solid cruising speed of about 4 knots. Despite being only 22″ wide it has a comfortable cockpit sizing. For kayak rolling, the low back deck makes it easy. The Selkie Sea Kayak is our time-tested Everyday Boat. It is a superbly handling sea kayak, with plenty of stability for beginner and intermediate paddlers, or those who fish or shoot photographs on the water. Its secondary stability and buoyancy mean that it can handle rough water very well, including rock gardening, stormy seas, and even surfing. It has a solid cruising speed of about 3.5 knots and does not take much effort to hold it there, an advantage over longer and faster kayaks. It also has tons of cargo capacity for multi-day trips or larger paddlers. For kayak rolling, the low back deck and high buoyancy makes for easy recovery in rough water. The Adaro Kayak is a hybrid kayak. It handles exceptionally well in rough water and is at home on freshwater rivers or lakes as well as the sea. It handles like a dream, very responsive and nimble to light touches with the paddle. It is also surprisingly quick for its 12′ length. 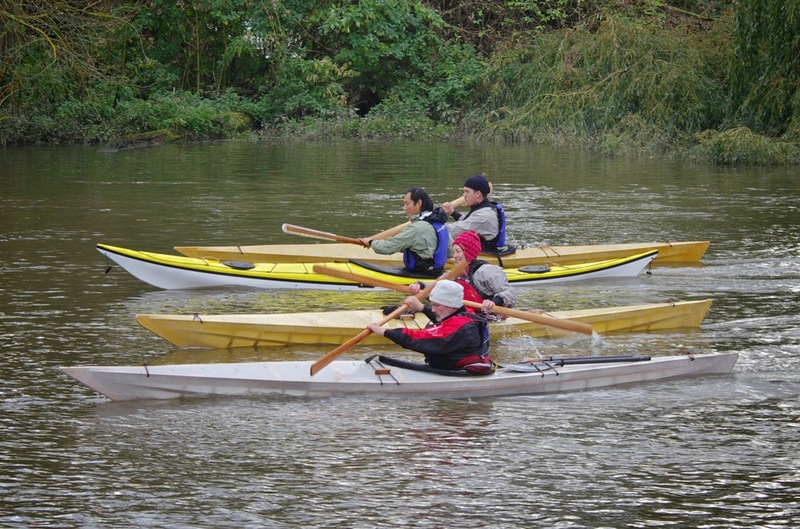 It is exceptionally stable for beginner and intermediate paddlers. Its secondary stability and buoyancy mean that it can handle violent rough water very well, such as ocean white-water and ocean surfing. It cruises at 3.25 knots but long distances against wind are harder than in a longer sea kayak. This kayak rolls like a weighted punching bag– it stays upright very well and its low back deck and high lateral buoyancy mean it recovers easily and quickly. Kayak building - Maximum Class Size: 8 People. Costs & Booking - Please get in touch. Here is a n interview that Kiliii did with Another Escape. Worth a read. Once nearly a lost skill, traditional kayak building has undergone a revival in the last 30 years among hobbyists around the world and indigenous communities across the Arctic. Due to the effort of a handful of kayak enthusiasts-turned-historians, the skills of the few remaining native elders were documented near the end of the last century. With old knowledge newly available, more people took an interest and began constructing skin-on-frames of their own. Since that time, some non-native historians and enthusiasts were asked to bring skin-on-frame building back to native communities. It has had a trickling effect—in 2006 the Alaska Native Heritage Center sponsored a number of native boats to be built, and brought skin-on-frame kayaks back to the communities’ attention. The biggest revival has been in Greenland, where Qaanaq Katannufiat (the Greenland Kayak Club) has now over a 1,000 members as Greenlanders continue to reclaim their tradition. 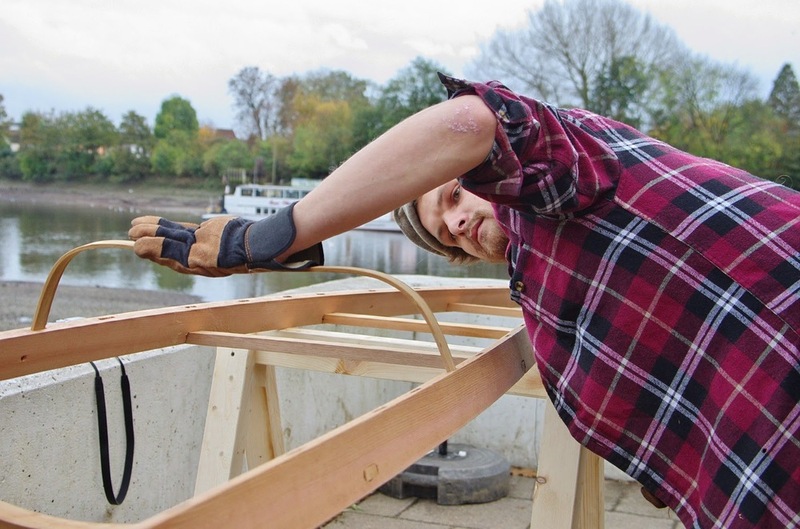 Kiliii was first inspired to learn traditional boat-building given his background in primitive wilderness survival, and as a way to connect with his own ancestry. First introduced to skin-on-frame building by a student of one of the original revivalists in the US, Kiliii went on to spend time learning from elders of the kayaking communities in Alaska. 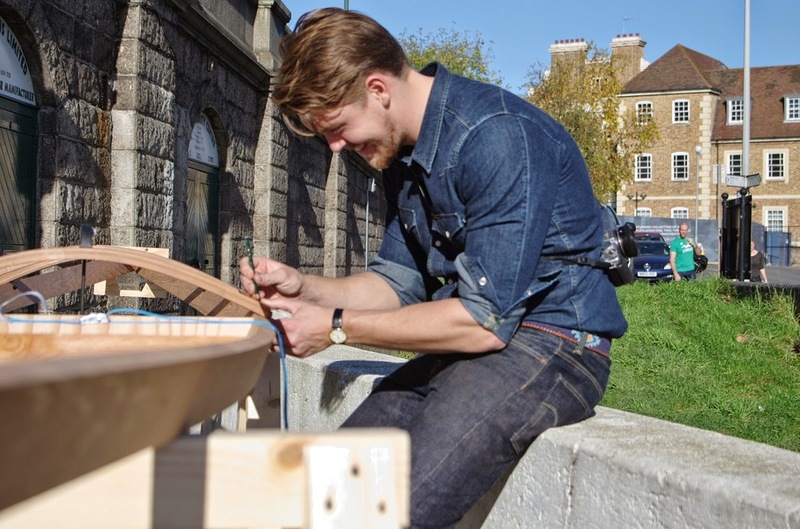 He has since been designing kayaks and leading workshops for over a decade. He helped bring the skills of kayak building back to the original communities, teaching Yupik and Inupiaq youth in Alaska. Today, Seawolf Kayak is one of only two schools teaching skin-on-frame building in the world. Through the workshops, Kiliii connects his students to the cultures of the Arctic, with knowledge passed down over generations. While their beauty and the cultural importance appeal to many, skin-on-frame boats are also a practical choice for modern paddlers. They are light enough to maneuver on and off a car rack solo— the average Seawolf boat weighs in under 12 kilos. The wooden frame of the kayak is lashed together with thick twine and artificial sinew, allowing it to flex under impact. This flexibility gives the boat its strength, while the tough nylon and polyurethane skin makes it puncture-proof. All of Seawolf’s kayak models are informed by Kiliii’s years of experience and thousands of kilometers paddled. They have been tested under harsh ocean conditions to be as reliable as any modern plastic or fiberglass boat. The instructors guide students through the building process step-by-step to ensure that every boat is as solid and seaworthy as the ones built in their own shop.